The World Health Organisation set aside 24th of March every year as World Tuberculosis Day. So today is World Tuberculosis Day, and this year’s theme is “Unite to End TB: Leave no one behind”. As part of RelianceHMO’s contribution to ensure that no one is left behind in the global effort to end TB by year 2030, we’re enlightening you on ways you or anyone may be at risk of TB infection. About 30% of the world’s population have what is known as latent TB infection. Latent tuberculosis infection is a condition in which someone is infected with Mycobacterium tuberculosis (which causes TB) but doesn’t manifest the symptoms and signs of active infection such as cough (which may include coughing out blood) lasting more than 3 months, weight loss and excessive night sweats. However, these people are at a very high risk of developing the active infection within 2 years if they are not detected and treated. If a close relative or family member you live with is being treated for active tuberculosis infection. If you work in places like hospitals, internally displaced persons (IDP) camps, prisons, rehabilitation centres for mentally ill patients or in a facility where HIV patients are admitted for treatment. If you have any conditions that suppresses the immune system. These conditions include HIV infection, chronic kidney disease or diabetes mellitus. Also, if you underwent organ transplantation surgery, such as a kidney transplant, which involves administration of immune-supressing drugs to prevent your body from rejecting the donor organ; or you are on a long-term treatment with corticosteroids for certain medical conditions—you can easily be infected with the tuberculosis microorganism when exposed because your immune system has been weakened and can’t fight it off. If you had tuberculosis in the past which was untreated or poorly treated. If you’re a chronic cigarette smoker, your lungs are at a higher risk of being damaged, meaning there won’t be enough immune cells there to contain the tuberculosis microorganisms if you are exposed to someone with the infection. If any of the above describes you and you are yet to do what is known as tuberculosis screening test, then don’t waste any more time. Ask your doctor about this tuberculosis screening test and how you can do it. A tuberculosis screening test such as tuberculin skin or Mantoux test is used to check whether someone has a latent tuberculosis infection or not. 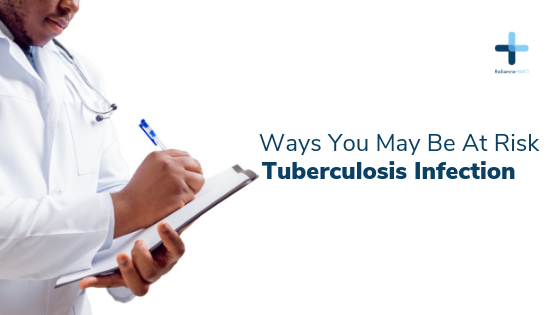 A positive tuberculosis screening test will require you undergoing further medical evaluation which includes a doctor taking a detailed medical history from you and doing investigations such as a chest X-ray. If nothing is found from these, you will be placed on treatment for latent tuberculosis infection to reduce the risk of developing active TB infection. Plus, every couple out there should ensure their new-born babies receive the BCG vaccine again TB at birth. For more advice and help, consult a doctor online via The Reliance Care App.